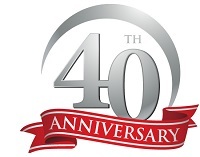 Wright, Finnegan, and Carter Insurance is Celebrating 40 years in business! We want to thank all of our great customers for allowing us to provide you and assist in all of your insurance needs! As an independently owned and operated agency in Yorba Linda, CA, Wright, Finnegan, and Carter Insurance Associates has excelled in providing top-tier insurance and risk management solutions since 1977. 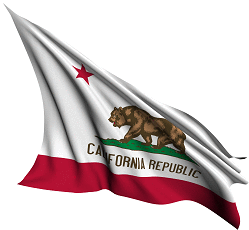 We serve clients throughout Orange County, including our neighbors in Placentia, Chino Hills, and La Habra, CA, making sure each client has the best insurance buying experience possible. With over 125 years of collective industry experience, our team knows how to deliver detailed, personalized service to each client. We provide commercial insurance primarily, but we offer a wide variety of personal insurance options, including home, auto, life, and health insurance. Individuals and families prefer our services because they know they will be working with an agent dedicated to their needs and ready to be there when they need help the most. We combine policies whenever possible and you can learn more about this by speaking with an agent and/or by seeing our home & auto page. Our business program has coverages that can keep virtually any operation secure for the right price. We have programs for specific industries, working to place a market for nearly any line of work. From commercial auto insurance to workers compensation and employee coverage, rest assured knowing that an experienced professional is managing your risk. Wright, Finnegan, and Carter Insurance Associates celebrates a history of excellence when it comes to keeping your operation running smoothly. It’s important to us at Wright, Finnegan, and Carter Insurance Associates that we provide great products and exceptional services because together, these things make solid client-business relationships. These relationships are the foundation of our business, so we take care to ensure that every client gets what he or she needs and is treated well. We manage risk and claims, monitor policies once they’re in place, and remain reachable whenever clients need to reach us. These are just a few among many of the strategies we employ to ensure that buying and using insurance is easy. See for yourself: please contact us or give us a call to learn more or to get started. You can also request a quote.